Honestly, this book was tiring. The cover was gorgeous, the writing itself was decent as far as the technical aspects go… but the plot was so terribly cliché and filled with poor character decisions that I slogged through in the end. There were no surprises, no fresh takes on old tropes—the whole thing felt familiar and a bit campy, and the main character Aurora was predictably a painfully special snowflake. Not all was a disappointment, though. I did like most of the characters (though Aurora wasn’t one of them), particularly Rafe, Kalen, and Vivienne. There weren’t a lot of technical errors and though a bit bogged down by needless description at times, the narrative moved at a reasonable pace. I didn’t hate the book though I think perhaps it would have been better suited for a middle grade reader base rather than the YA crowd. It just wasn’t up to the standards I expected it to be, particularly concerning the plot. It seemed like the book was full of cliché ideas, that may have worked had the book been intended to be humorous, but didn’t when it was obvious that the characters were taking everything so seriously. Overall, I gave the book 3 stars. It wasn’t badly written, but it was a bit of a push to get through the predictable plot, whose main character frequently made rash and often dangerous decisions on a whim. 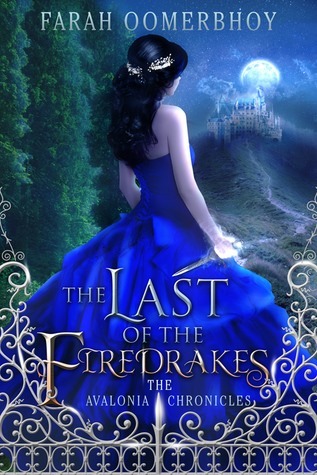 If you like fantasy stories with familiar fairy tale plotlines, you may really enjoy this book. It just wasn’t my cup of tea, and I don’t feel like it fit the intended audience well.